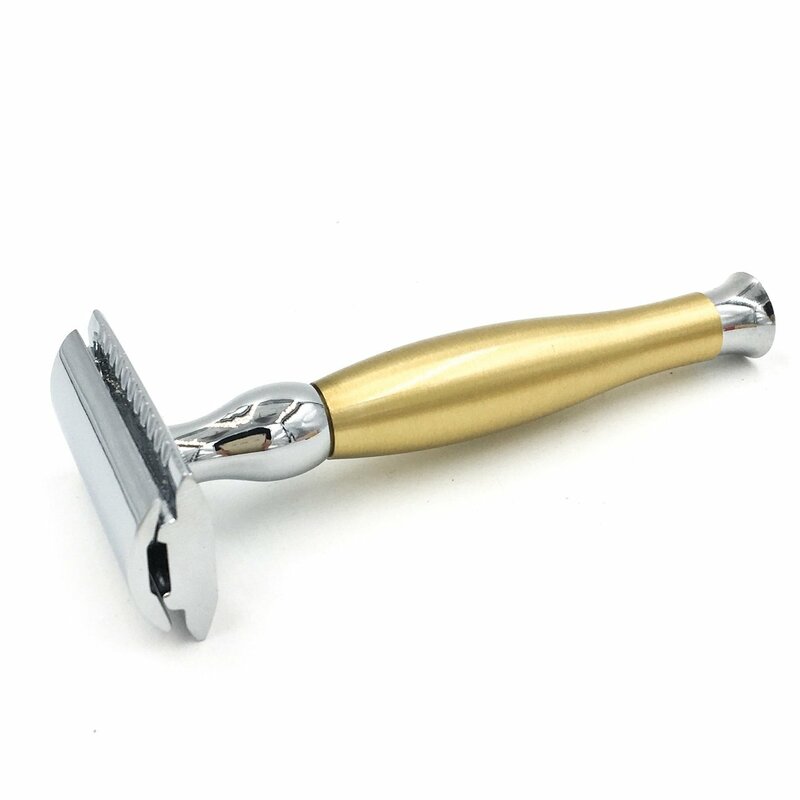 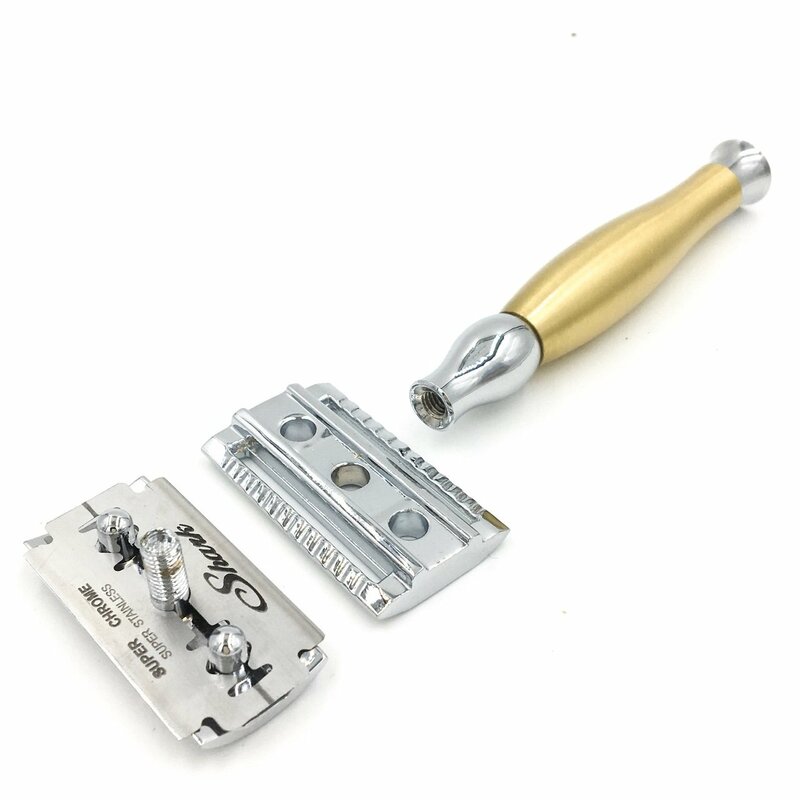 The Parker 48R Gold Tone razor has a nice heft weighing in at 3.4 ounces. The Parker 48R Gold Tone razor has a nice heft weighing in at 3.4 ounces. 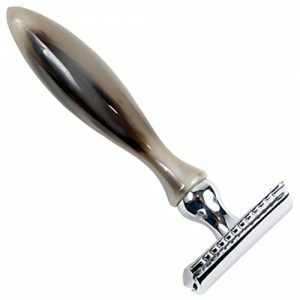 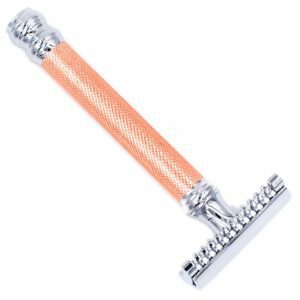 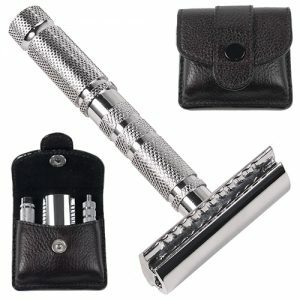 The handle on this razor is mid-length, yet it weighs more than most long handle razors. 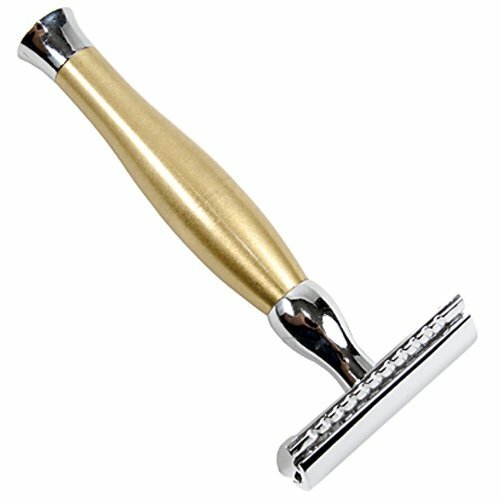 As a result, this razor has a heavy in the hand feel. 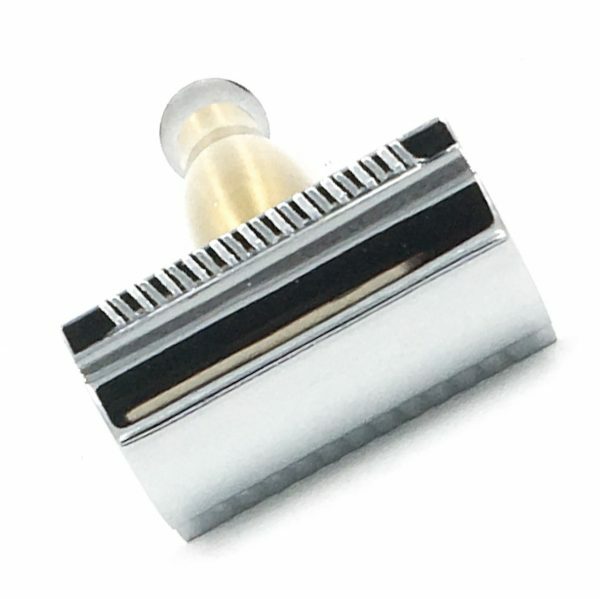 It has excellent balance and the extra heft is useful for conquering a tough beard — It is it a fantastic shaver.